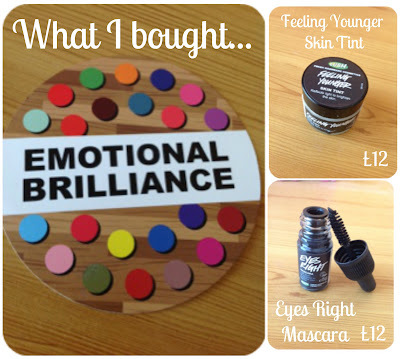 As you may have seen in the pictures I added in this post a few days ago, I have recently purchased a few things from Lush's brand spanking new makeup range! The lovely Alexandra from The Wallflower expressed her eagerness for a review ASAP (with lots of exclamation marks!!) so here we are! 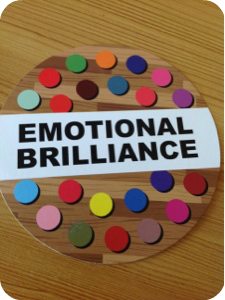 Lush have obviously put a lot of effort in to making their makeup campaign different and original, they have named it Emotional Brilliance. They have given each eye, lip and cheek colour a name which corresponds to an aspect of your personality. The Lush shop assistant described the concept to me, saying 'different emotions bring to mind different colours' so Lush have used this to create a original and memorable colour wheel! You can have a 'reading' in the shop or also online here, where you choose three colours which jump out at you first and these are meant to reflect something about your personality. It's a bit of fun and I think it creates a personalized feel but will also appeal to a wide range of people. I didn't actually choose to purchase any of the products from the colour wheel just yet but I did buy the Feeling Younger Skin tint and the Eyes Right Mascara for £12 each. 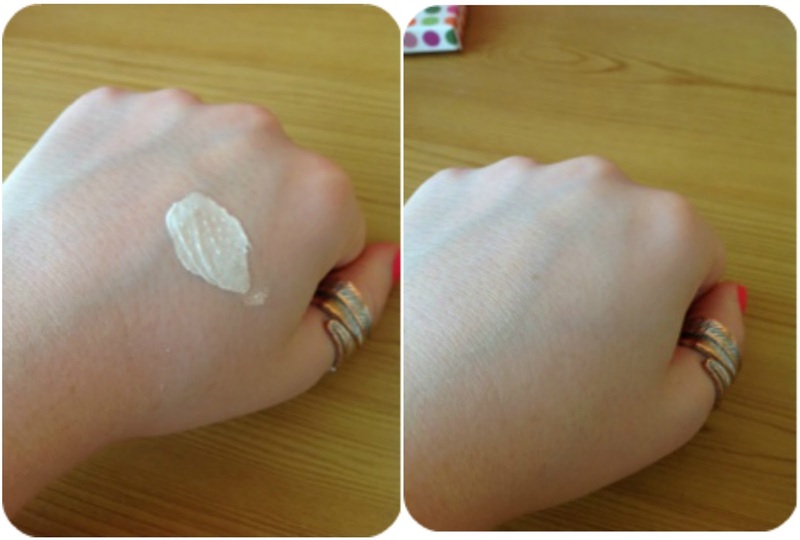 'Magic Orange' pigment works as a reflector on the skin. Made with natural ingredients and safe synthetics. Can be used as a highlighter over makeup. Can be mixed with moisturizer or foundation. Can be applied between moisturizer and foundation. Gives a radiant glow to the complexion. Can be applied under eyes to combat dark circles. Nice smell, not too strong. Light consistency, not to heavy on the skin. Lovely colour when rubbed in, almost a peachy pink glow in the light. There are so many ways you can use this product and I feel like that makes it worth the pretty hefty price you pay for a small amount of product. 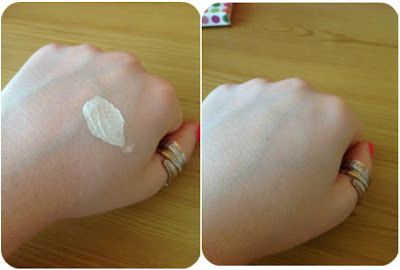 The first day I used it I applied a layer between my moisturizer and my makeup. It definitely made my skin look glowy and it didn't fade either which I thought was good. I don't know if this is due to my Hello flawless Oxygen Wow foundation or this product, but I found towards the end of the day my foundation had separated and I had some random patches of shimmery bits which is not really the look I was going for! After that I tried it mixed in with my moisturizer and found this a lot better. The glow was more subtle but it didn't result in any patches in my makeup but the end of the day. I also used it under my eyes to combat my dark circles and this was also quite effective. It obviously didn't take the darkness away as it is a sheer white colour but it brightened the area so that when I applied concealer it looked a lot better! For me, the best use for this product is as a highlighter. I applied it under my brows and across my cheek bones and it gives such a pretty and subtle glow which is nice and shimmery without being too glittery and stays on all day. 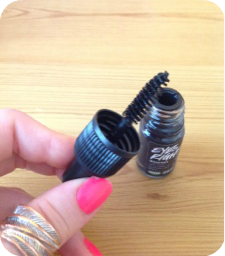 Gentle mascara, can be used by those with sensitive eyes. Only one preservative, won't irritate eyes. Wheatgrass is a key ingredient, contains vitamins and minerals which condition and nourish lashes. Japan and Carnauba wax help it set so it won't smudge. At first I was very skeptical about paying so much for such a tiny product! I also thought the whole nourishing and conditioning aspect was a bit of a gimmick and wasn't sure it would be worth the money. This is a really really good mascara and it's actually a lot different from any other I've ever used! The lid and wand are so diddy and small, at first I was fumbling about and didn't know if I could apply it without poking myself in the eye! But I got used to it and it's actually a really good wand for separating lashes. It's nice and thick without being clumpy and lengthens and lifts lashes really well. I think what makes it feel different is the wax, it works really well to hold the lashes in place all day and it doesn't flake or crumble off all over your face by the end of the day like some mascaras. It's also waterproof, which makes it a little bit more difficult to remove but not impossible. 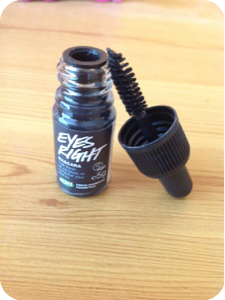 I have been using it for a few days now and my eyelashes have already felt some benefits! It doesn't make them grow longer but I have noticed that they feel softer and also look a little bit thicker without any makeup on! Overall I really like it and I will definitely be repurchasing this when it runs out! I'm loving Lush Makeup, are you? I've heard that the skin tints are really good and I personally love the lip tints, but i'm not too keen on the eyeliners unfortunately. I want to try the lip tints too! Do you think they are worth the price? I need to go to lush and check them out! !